WHAT’S HAPPENING AT THE HILLCREST? Scroll down for detailed descriptions of our different events and classes. The Hillcrest Film Society host an array of incredible films on the 3rd Saturday of every month. Previous films include The Death Of Stalin, Swiss Army Man & Manchester By Sea. Hillcrest Cafe open for delicious food and refreshment. The Newhaven Country Market, also known as the Hillcrest Country Market, has been running now for 16 years and is part of the UK wide Country Markets Scheme. It is a cooperative of traders who have a direct relationship with the products they sell and are often available to talk to you about their produce, goods or services. Established in 1953, Studio Tempo offers a wide variety of dance lessons suitable for Adults. We specialize in Adult & Private Lessons for Ballroom, Latin & Sequence and Argentine Tango Salsa! Whether you would like to learn a 1st dance for your special day or engage in weekly lessons and fall in love with the variety of styles we offer we ensure all levels of experience are welcome! Courses run year round, beginning in October and after Easter. An informal and friendly prose writing class, suitable for all levels, that covers everything you need to know about how to write short stories, autobiography or memoir, structured around weekly writing assignments that allow you to practice different fictional techniques (also relevant to life writing). You are welcome to work on your own project if you prefer. Work will be read aloud in class and feedback given. The class will cover all the technical aspects of writing and will include discussion and short exercises based on writing prompts where time allows. We will also be reading and discussing the work and techniques of published writers, either as extracts or from a short story collection. Contact: Carol Havard (Art Techniques Facilitator ) for details. Make music, meet other singers and have some fun! No need to read music. Two, three and four part harmony. Ring if you’re unsure or just turn up for your first free session. Portraits in Clay - £195 for the course. Enjoy making life size heads in clay from a life model. All levels of experience welcome! We explore structure, shape, anatomy and expression. Work can be fired later in a local kiln for a small extra cost. Delicious lunches in the cafe opposite the studio. Tutor Julian Le Bas is an established artist based in Sussex. Julian is a practising artist and has been teaching drawing and painting for over 25 years. He is a visiting lecturer at Brighton University, Christchurch College Canterbury and also teaches at Morley College, London. Julian has exhibited extensively and has work held in the Towner Collection. All abilities welcome, regardless of experience. We work directly from the life model from a wide range of poses. Emphasis is placed on structure and rhythm with an exploration of materials. Learners are given feedback and advice within a focused and friendly atmosphere. Materials: Drawing boards and easels are provided. Please bring your own paper, charcoal, erasers etc to the first session. Started in February 2009, the group meets every Monday, except Bank Holidays, in room 4, next to the Café; this means we are able to offer support for needlecraft enthusiasts without fees or subscriptions. People of all ages and stages of ability welcome, and we are usually able to help sort out problems with patterns or acquiring new skills and techniques. Newcomers are welcome to drop in, brininging your knitting and enjoy refreshments in the Café, look through our resorces bank of magazines and patterns and join in the friendly conversations. Café opens 6.45pm. Stories start 7.30pm. / £6 unwaged on the door on the night. 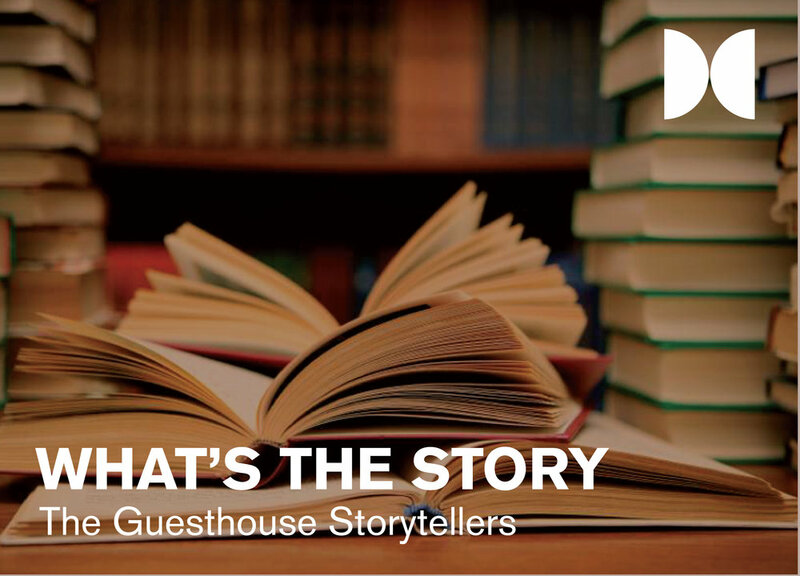 The GuestHouse Storytellers is one of the most successful storytelling clubs in the country. We are a non-profit organisation run by a committee of volunteers. The club meets on the at The Hillcrest Centre in Newhaven. We have no registered membership; everyone is welcome and you become a member by attending. Anyone may book a slot to tell a ten minute story on whatever theme has been chosen for that month. Tellers vary from the very well trained and experienced to people stepping into the water for the first time. Everyone is welcome and every story and teller is different, providing a varied and rich feast of tales to carry away with you and maybe even retell. The workshop is well-equipped and, although there is no formal tuition, a lot of the members have been carving for many years and are able to give expert guidance at all stages of learning so that beginners quickly find the confidence to carve their first simple objects and gradually move on to more ambitious projects. We also have a kettle! Our most experienced members produce beautiful carvings to a professional standard and are able to sell their work ranging from walking sticks to sporting trophies, and even our newest members are already turning out very pleasing works to be proud of! New members are always very welcome, so if you share our love of wood and fancy trying your hand at woodcarving, or already have some experience, we would be pleased to hear from you. Or stroll down to the workshop on a Monday and see for yourself.